The commands to ‘Turn On’ the transponder # 2 (Dutch transponder, made by Williams PE1RAH) on-board HAMSAT VO-52 was successfully sent during 14:00 UT 35 deg ascending Node pass over Bangalore, India. The sent commands were successfully received, acknowledged and confirmed by the telemetry. Subsequently, the transponder # 2 is now ‘ON’ and Williams CW message beacon was heard again after a gap of approximately 6 years & 4 months. The beacon signal was heard loud and strong here at Bangalore. A detailed Initial reports addressed to: tprangan@istrac.org and a copy to wmy@isac.gov.in would be greatly appreciated. After this message on Amsat-BB my first possibility to listen for VO-52 was on 14-03-2012 15:55 UTC. During this pass I made the following recording of the CW beacon on 145.860. Listen to my recording via the following link [download id=”14″]. The elvation was 2 degrees and The signals where 5 – 5 up to 5 – 7. When listening to the recording there is some distortion that is likely caused by transponder use with too much power. It is good to hear that the Dutch transponder is operationel again after so many years, a job wel done by William Leijneaar (PE1RAH), who has built this transponder. 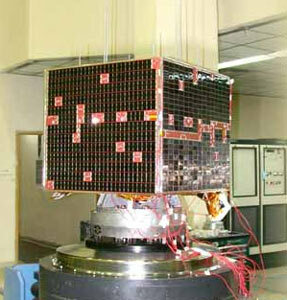 With regrets, we confirm the non-availability of the transponder on HAMSAT VO-52 since 28th February 2012. This is the first ever interruption in the services of HAMSAT since May 5th 2005. If possible, try to find out who has last operated HAMSAT payload transponder on 28th and at what time. In my record I heard and briefly used the transponder on the pass with AOS here in Copenhagen, Denmark at 0826 UTC on the 28th, February. On the next pass with AOS at 1003 UTC it was not on. There where some questions about how to find out what the state is of VO-52. When looking in to that, I found out that Telemetry and Groundstation command is done outsite the amateur frequency. TM is done on 137MHz en TC on 149MHz. The exact frequency is only know by ISRO as confirmed by PE1RAH in a conversation between him and SV1BSX. HAMSAT telemetry: Posted by William, 25 May’05 Hi, The HAMSAT gives only telemetry to the ISRO groundstation on none ham frequencies. ISRO use it to check the status and to switch on/off the transponders and change attitude when needed. The telemetry will only be activated by ISRO groundstation and is not for public use. The frequencies are secret and only for ISRO. 73 pe1rah William. 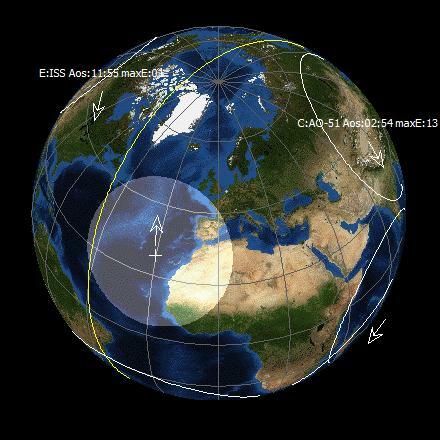 One of my favorite satellites VO-52, was not heard over Europe on 28Feb2012. Please listen for VO-52 and submit reports to the oscar.dcarr.org website. I8CVS also didn’t hear VO-52 on a later pass. Lets hope there isn’t something wrong with this great linear transponder Satellite.